British band Muse will be back in Montreal and Quebec City next year ! 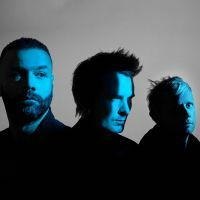 Muse will be performing at the Bell Centre, in Montreal, on March 30th, 2019, as well as the Centre Vidéotron in Quebec City on March 31st! With a new record entitled Simulation Theory released last November, Muse will be playing some new material, as well as their many hits! Don't miss Muse's return to Quebec City and Montreal this spring !